My favourite storage item is most definitely my dresser. This used to be in our downstairs hallway but after redecorating, it came into my hands! I'm unsure where this dresser is from as it used to be my grandmas. It has such a vintage feel to it, I just love it! The top of my dresser is home to my mirror, makeup bag, my laptop, perfumes I'm currently loving and my jewellery stand. I also have a few little decorative boxes/tins with hair clips and other bits and pieces in them. My FAVOURITE Yankee Candle at the moment, Fluffy Towels, also lives here! Inside my dresser draws and cupboards I keep my underwear, socks, pyjamas and clothes. There is quite a large space underneath the dresser which is handy for storage, so I just keep shoe boxes and such here! As you've probably already guessed from my first image, I absolutely love fairy lights! I just love how cosy they make a room feel at night! I have fluorescent blue lights above my bed head and hanging over my curtain frame, and I then have little red lights covering the other side of my room! I do have pink fairy lights hanging from my shelf which don't work at the moment, but they look super cute so I had to keep them up! I have a vintage floral throw and two matching pillows that go over the top of my bedspread. I got this set from BHS because I absolutely love the dainty floral patterns within the throw! I have two little teddies on my bed that I can' bear to part with; my dog Jakey, and a little rabbit with big fluffy ears that used to be my grandmas. Above my bed are my two most prize possessions; signed Sleeping with Sirens and You Me at Six posters!!! I got my SWS poster when I met them at a gig, and my YMAS poster came as part of a special deal with their newest album, Caviler Youth. I'm yet to meet YMAS, but it's going to happen one day! The shelf above my bed holds personal items like photos, birthday and Christmas cards. These cards are hanging off a piece of string that is pinned to my walls. On my shelf I currently have some bath products I received for Christmas, Yankee Candles (YAY), and a few other decorative pieces such as my little bird bowl and my money box. Another favourite is a little driftwood "F" letter piece that my mum bought me from a local garden center! I think my favourite thing on this shelf is my previous-cake-stand-now-lush-holder! I have a few pretty candles on here and some lush cosmetics! I currently have the Baked Alaska soap and the Snow Fairy Shimmer bar on here! They both smell incredible and I never want to use them ha ha! I have a mirror hanging on my wall in the center of my room. Again, I'm really sorry but I'm not sure where this is from as my Aunty bought it for me as a Christmas gift a few years back! It's just a simple square, silver-tinted mirror and I feel it goes just perfectly with the things in my room! Below my mirror I've decided to stick my gig and festival tickets up! I plan to have so many more up there over the course of this year! I currently have V Fest tickets from 2013 & 2014, my T in the Park 2014 ticket, The Killers, You Me at Six, Imagine Dragons, Bastille, Two Door Cinema Club, The 1975 and my signed Sleeping with Sirens tickets up there! Finally, the last picture I have of my room is funnily enough a picture of lots of other little pictures and keepsakes of places that I have been to! I really like having lots of memories around me in my room as it makes me happy looking back at good times! I keep meaning to update this part of my wall as I instead want little Polaroid images here! What do you think? 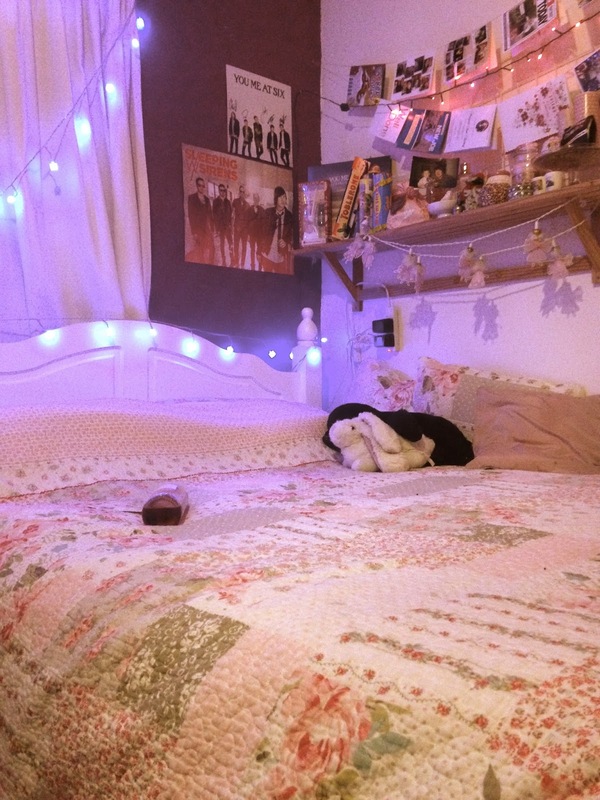 Your room looks really cosy :) I love fairy lights! Thank you, it is really cosy at night! :) Me too, they're so cute! Your room looks so homely, I just did a room tour today on my blog, check it out if you like. 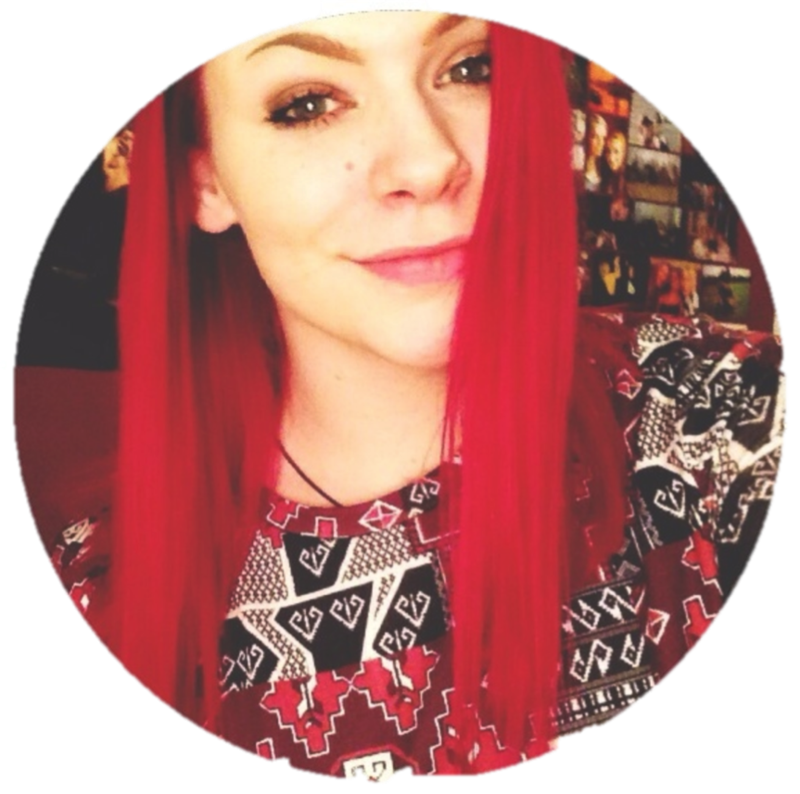 I really like your room, the pictures are really sweet aswell and personal. looks super cosy! love that standing mirror!